How healthy are Canadian lakes? 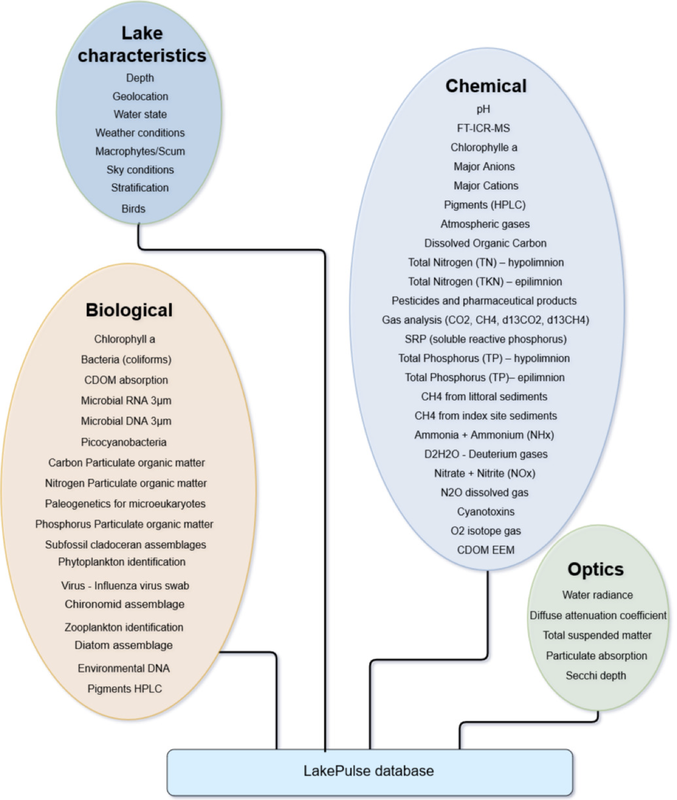 To answer this question, we must monitor lake health and the threats posed by human activities, but to date, there has been limited coordinated action to monitor lakes. 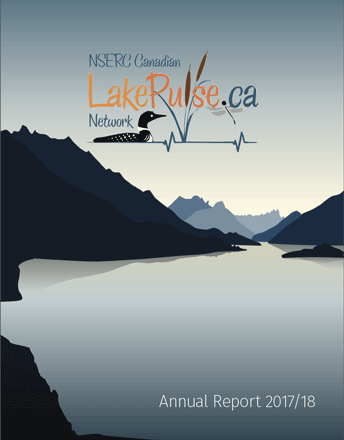 The LakePulse Survey will collect extensive data from 100s of Canadian lakes. 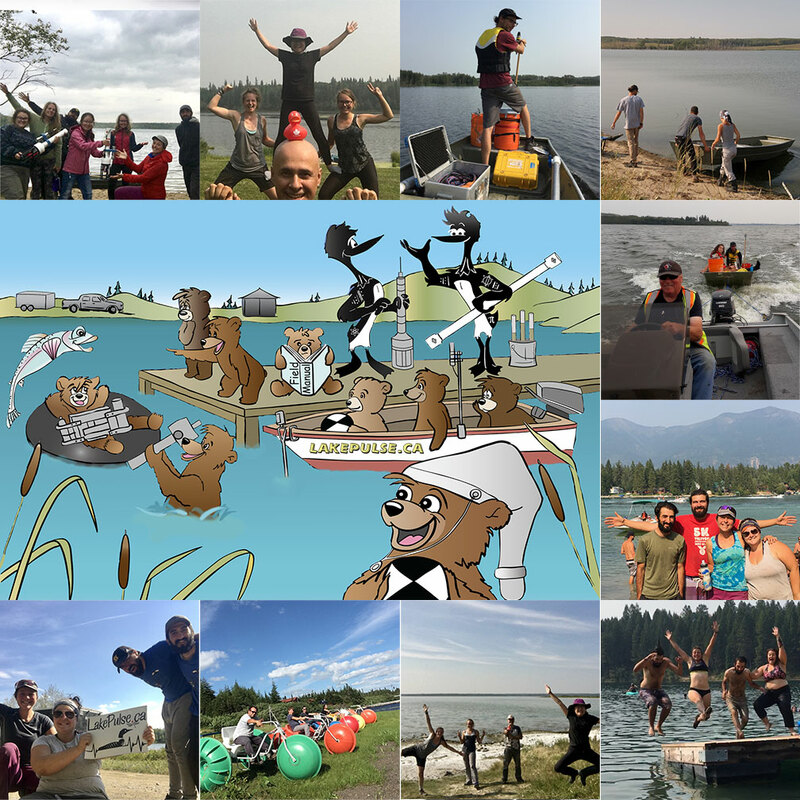 A key goal of our national database is to provide automated reports for 1000s of lakes across Canada. Map of lakes sampled in 2017 and 2018. In the map above, for each lake, the size of the circle indicates one of our three size classes (small is 0.1-0.5 km2, medium is 0.5- 5 km2, large is 5-100 km2). The colour indicates our human impact index (green is low, yellow is moderate, red is high). Click here for interactive map. Standardized methods are used to sample over 100 variables at 680 lakes across Canada. 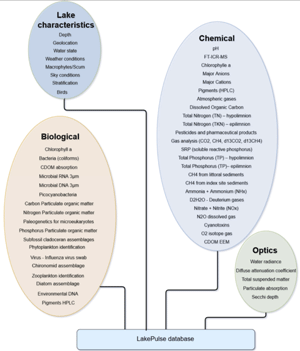 This will support national and continental-scale analyses of lake health. Our field teams use the LakePulse Field Manual to maintain data quality. We are working on a Water Portal so that our research can help to inform decision-makers, policymakers and the public. Our researchers and students collaborate on multidisciplinary projects organized under four overarching themes. By using satellite imagery and spatial modelling techniques, we will extend measurements from 100s of sampled lakes to many 1000s of lakes. We are seeking motivated graduate students to participate in our Network. 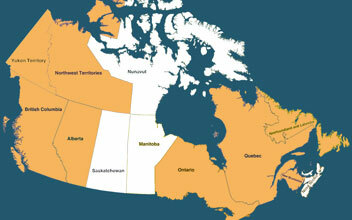 Our partners across Canada include the ministries of provinces and territories, federal agencies and departments, as well as not-for-profit organizations. They offer their expertise, data and logistical knowledge. Together, we are creating new tools to deliver information to people who care about lakes, such as scientists, managers, policymakers and citizens. 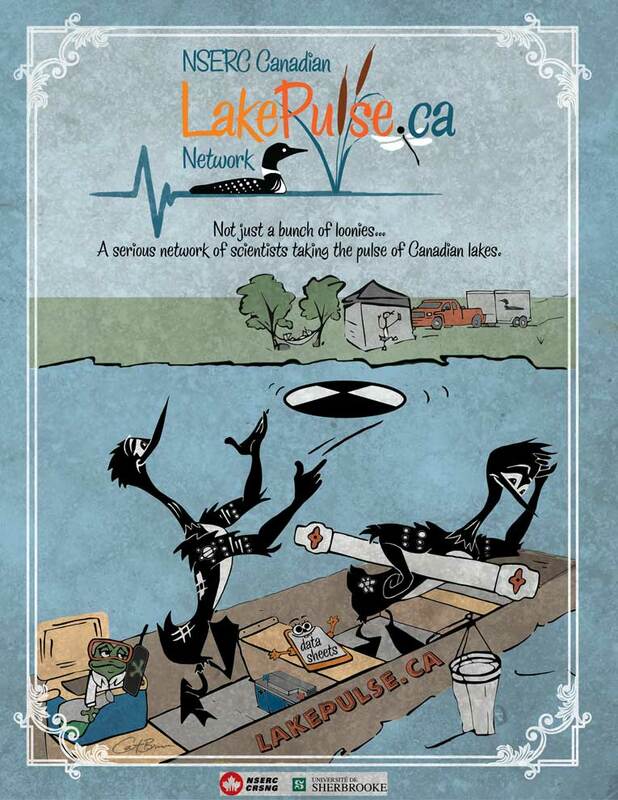 To build the first nationwide database of Canadian lakes, we use lake and water quality data from diverse sources. 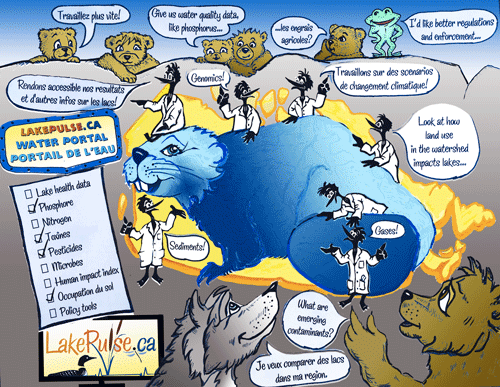 The LakePulse.ca Water Portal brings together LakePulse & the freshwater community across Canada! Recommendations on technical aspects, such as on how to develop a geospatial environmental database, an online portal, standardized protocols for lake sampling, and more. September 6th, 2018 - From lakes to labs to you!